I can’t express enough how important this Gooseberry project is, for me personally and for a lot of people out there. There are so many solutions for urgent issues coming together in Gooseberry – it is really mind-blowing sometimes. – Open Movies as a Blender development model. Open Source software works very well as in-house software, as an ongoing flexible development process. This is opposite to commercial programs, these have a more distinct product life cycle. Imagine: Gooseberry is going to be an 18 month animation-studio simulation! With so many wonderful technical-creative challenges to solve, and we can all be part of it. – Raise the bar – make a feature animation film. Every animator or artist who has done a couple of shorts before, understands the excitement of the prospect doing a feature animation film once. It’s really a different medium, it’s a new technical and creative challenge – risky but rewarding. It’s also a medium that brings you a new and massive audience. This would be the ultimate advertisement for Blender as well as for FOSS in general. Software is moving into the cloud, Adobe and Autodesk work hard on it. They present this as “benefit for the users” but they actually just pull up an Iron Curtain to safely hide their software behind. No more piracy, no reverse engineering… total control! I don’t want to wait for us to lose this fight. We can find out ourselves what the real user benefits are, but in openness and by truly respecting user freedom. The Gooseberry teams will use Cloud, for sharing and collaboration. With you too! We shouldn’t underestimate how much importance the open movies and the open game had for education and training. Not only for its free data, but especially for the tutorials, the making-of videos, the training dvds we made with these teams. This massive dataset should be kept around, renewed but also be kept updated and working. We can’t keep selling paper and plastic with open/free data forever… that did a lot for us, helped Blender to grow, hire developers and do big projects. But the revenues are going down. Having a pile of DVDs is nice on your bookshelf, but not to actually use. Online sharing – in the cloud – is a much better solution for the data. I believe in a future for subscription models for cool content/training/data/services. Especially if that enables us to become a media producer ourselves! – Occupy Bay Area, Occupy Hollywood? So that’s Gooseberry for me. An experiment, but with potential impact! I know there’s some skepticism out there, about the project concept and about the slow funding start. But well – we’re learning, and we’re developing well to get the message and the website to work optimally. It’s also inventing something new, and that you can only do by trying it. Key is that I’m having a vision, and the guts to live by that vision. I’m not lead by polls, not by common opinions or what others think might be more successful. I’m also not a billionaire. Not a movie star. It’s just me :) And one thing for sure, I cannot do this alone. I have carefully read the arguments for a future cloud solution for Blender on these pages here, but I’m sorry to state that I strictly refuse this way of sharing software and data. For content creators, it should be a nightmare to know your own creations are only existing somewhere in the nowhere of a “cloud” which might be accessible one day and the other not – either due to technical reasons or (like in the case of Adobe) that your (utterly expensive) subscription has expired. I want and I insist to have all my stuff – tools and files – *here* at home, and to share it with others when I decide that it is the time for that. As an average lower intermediate level “hobby” Blender user with two years of experience and as a contributor to the Blender Wiki, I’m sorry that I don’t see any real advantage for myself to support the Gooseberry Project. It appears annoyingly elitist and the trailers let me expect something like a Pixar movie instead of something really unique and special. This would not become “my” Blender movie at all! I understand that it must be thrilling and challenging for 60-80 professional creatives to make such an open source movie in the described way. The outcome, however, will not help me and other Blender users of my level (beginners to lower intermediate) to understand using this complex tool better. Or in other words: There is already an abundance of other free educational sources available, so there is actually no need to download any tutorials from the cloud. On the other hand, I see a written reference named Blender Wiki maintained by a (way too) small group of community members which would deserve much more support in order to be updated in reasonable time after issuing the latest program release – not only for the benefit of a small minority of professionals, but of tenthousands of average users worldwide. Maybe I haven’t understood your reasons, because I’m not clever or experienced enough. But from my current point of view, I don’t want to support this project with a single cent. I doubt it will be a “walled-garden” approach.I am guessing you would be able to download your own stuff , in cases your subscription is going to expire and not in financial state to support it anymore. But this is an exciting opportunity to see/learn “professionals” work; which otherwise I wont ever get chance to. The service itself – super fast access to terabytes of data – is only for members. But it’s all free to be used and shared with the outside world. I’m sorry that you feel so strongly against this project. The wonderful thing about open source software is that you are free to use it how you like and if you don’t want to contribute, you don’t have to. The way I see it, the advantage is that they will be working full time to improve Blender in a vast amount of ways for 18 straight months. I can’t even fathom the amount of new or perfected features that might result from this project. Open source should be and is about making the software better as a whole. I’m positive at least one or two developers along the way have had to program a feature that they themselves might not use that often, but that doesn’t mean the feature isn’t widely used by other artists. This movie is going to be so unique and special. All of the characters in the teaser seem to be “Michel” (per the many tutorials using his name). Which can mean a thousand things! It says on the website, “The film is about Michel the sheep, who’s longing to get an interesting life.” And by the looks of things he will be catapulted on a wonderful journey through the universe and alternate dimensions, and flung through time and space to the lives of other beings. This raises all sorts of questions regarding identity or self-image and what it means to live a meaningful life. It asks how all of this might relate to one’s ambitions and expectations in life. Can we ever expect to receive anything in life if we don’t give anything in life? I find it hard not to relate to and I fail to see how this lacks originality or promise. To me, to have questions is the essence of life. Remember, we have only seen the teaser. The point of a teaser is to leave the viewer intrigued and filled to the brim with bewilderment and interest. Your final statement just seems sad. I’m sure that you have, and I know I have, experienced the overwhelming sense of joy that comes from being able to use free 3D software. Even if only for an instant. And you are telling me you wouldn’t even pay a cent to the developers that made that sensation possible? thank you for your elaborate comment and I’m really sorry that I came across like a wet blanket with a negative mindset against open source projects in general. This is not true at all, and I’m a dedicated Blender user by myself. I’m maintaining a website which is as to say my public personal notebook about things I’ve learned in Blender in the course of time. I’m shoehorning German beginners in the very basics of Blender in Second Life inworld classes. Furthermore, I’m contributing to the Blender Wiki, as I already stated before. So these are my modest personal projects so far in this respect. Maybe this project requires some more and better information to attract more than just professionals or those who are deeply involved in the Blender Community anyway. For instance a page with FAQs where you can find brief and clear answers what the cloud is intended to be and what not (e.g. a money-printing machine like for well-known software companies). I would like to see something like an accompanying educational programme with this project. Sharing blend files made by pros is great, but only those with a somehow advanced level can understand from sheer viewing of a (probably very complex) foreign file what its creator has performed in it. When there isn’t any way of documentation – from a simple text window comment up to making-of videos -, those files are endangered to remain just puzzling and hence “silent” to others. In addition, classifications of selected files which are prepared for educational usage could really help to find the right thing for your own level and interests. Already produced tutorial videos are a nice bonus for sure, but again: You can choose from thousands of freely available sources outside the cloud to bolster up your Blender knowhow. So there should be something more unique, more related to this project. And something which doesn’t make the average user just an onlooker who is just good enough to admire the stars. Actively involving not-so-advanced Blender users in such an ambitious project is challenging for sure, but on the other hand they are important to broaden the base of a living community. I have no spontaneous idea yet how to achieve it, but I think it should be seriously considered. Maybe workshops? Smaller parallel movie projects for practising? But this would require patient and encouraging beings with some pedagogic skills. Do we have such enthusiasts here amongst the Cloudberry supporters? Maybe my statements make it more evident what my main focus on such a collaborative project would be. I have paid and I will pay a lot of time in learning and sharing Blender knowhow, so every new way to improve this for a broad crowd of users can expect my full support. I just have still my doubts that this cloud project in its currently presented concept could fulfill my expectations. This is why I love Blender users so much! Everyone gets so invested and fired up to participate and help in any way they can. Almut, I think you raised awareness on some key concerns and that is good. Keeping the topic afloat will surely yield good results. But as you said, “There is already an abundance of other free educational sources available.” I’m positive the Blender tutorial community will be on top of things when the Gooseberry Project files start pouring out. You bring up a good point that we should emphasize how important it is to get the knowledge gained from this project to as many users as possible. I absolutely agree and it can’t be stressed enough that we can make all of this stuff as widely available as possible. By setting up the Cloud, The Blender Foundation has already put the most fundamental part of that process in motion. You have certainly done the Blender community more good than I have. I am still polishing my skills. After using Softimage for 3 years and taking a break to work on 2d animation I have only spent a year with Blender. It is more intuitive than I could have imagined. And while I have never put together a tutorial I would be more than happy to join you to try and interpret the abundance of knowledge that will result from this incredible project in an attempt to make it more accessible. I think the best thing we can do now is to just keep talking about it. So stick around! Fully agree your opinion about “The Cloud”. It’s not for free people, it’s a distopic nigthmare build to enslave net users. I think there is a misconception of the cloud and, in particular, about what the Blender Cloud in terms of what we’re being asked to support and what we are receiving in return for that participation. My understanding is that we get to be in the middle of the production for Gooseberry. It is an opportunity to either sit on the sidelines, watch what is being done and learn from what is observed and through access to files that you can examine and try for yourself. It is also an incredible door that is being opened to the Blender community to find ways to participate if they so desire. Does it mean the work you do will be used? I wouldn’t think it’s necessarily a done deal, but it puts your idea in front of the teams and it COULD be used. Think of that. How many films of any kind invite participation with the possibility of your work ending up as part of the production? So you get to learn, you get to use, you get to participate…damn, I’m excited. I’ve already been watching some of the training that has been made available and have learned from it. I’m trying to hone my skills. Having access to the assets to study, the training related to the films, insights into how the project workflows worked plus the opportunity to see this new production with so many great teams working on them is well worth the bit of money for the cloud. As to the argument of about creations existing only on the cloud and losing access through technical or monetary means is not incorrect, however, technical problems get resolved, the monetary ones are your own responsibility, but moreover, no knowledgable person or company, that I know of, would ever put their eggs all in one basket. The cloud would be for the purpose of all the teams and cloud members to have access, so that there is less hiccup in getting assets to those who need to continue their part of the work on the project in a timely manner. You would always, hopefully, have backups of all your work on your own computer or hard drives. I hope others will see the ready value of joining the cloud. It is immediate upon joining and the value is only going to increase as time goes on, in my very humble opinion. I wish you all the very best of luck. I’m a very happy cloud member. If you were keeping your work exclusively on blender-cloud, then you’re not doing it right. The cloud is surely for backup, sharing and collaboration, not for storing canonical reference copies of your own work. I’m also a amateur/hobbyist with only a couple of years experience and having looked through the Sintel open-movie data this month I learned incredible amounts about the mistakes I was making and better ways to build things. I’m looking forward to getting to watch that happen in more detail, as it evolves over the next 18 months, for the Gooseberry project. Learning more. Seeing how the most talented and experienced modelers and animators do stuff. I doubt there’d be any reason for me to upload my own work to the blender-cloud unless some kinda render-farm was attached to the account too. Even then, I doubt server-time would price comparability with my own self-build AWS system. Only things I wanted to share or collaborate with would end up on Blender’s servers otherwise. I have pledged, I hope the targets are reached, it really is rather exciting. We don’t exclude or hide anything. It’s just about services we offer. Whatever a member finds in cloud he/she can copy and share with everyone. I am sure some people will just dump a lot on piratebay. I am also sure this then disappears after a while. People already complain they can’t find the big buck bunny files anywhere, not even mentioning Elephants Dream – totally gone. We also will make sure there’s great stuff on the blog for everyone – also without cloud. But if you want to get the storyboards – entirely – and all the concept art – every day updated, or discuss this with others, and so on… yes then we like you to subscribe. Then it is also about more efficient crowd-funding a film. In a way to keep people really engaged, involve them, and make sure they can pay in small bits to keep a good dynamics with the makers going on. And it’s a development model to help open source work! I believe that good software only gets made when users and coders work together, every day. Please, please, please… add a tier for people who don’t want access to the assets! 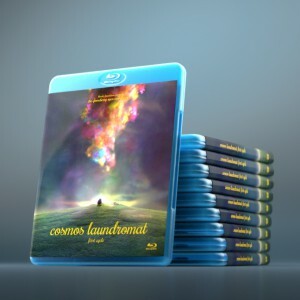 Many funders want to support Blender, get their name in the credits, and buy a cool short movie for their collection. At present, your current model discounts every single one of these would-be funders. If you succumbed to the voices of the many people who have suggested this, then this project stands a better chance of reaching its funding goal. I’m not sure how else to say this, or how else I can get this message to hit home. My fingers are crossed that you get to where you want to be. We have a credit-only pledge for 225 USD. Sounds expensive, but its worth 10 short movies. For people who want to support us with buying dvds or bluray or books – these products we will do pre-order for late next year, when we know we can deliver it (and when!). Also that then is still an essential contribution you can make. Guys, you are the best!!! I love your idea and will thank you for all you have done. I’ve just downloaded the “Caterpilar Files” few minutes ago. Amazing!!! Thanks for sharing all that stuff with us. Please keep going, don’t waste your time for comments from frustrated folks. Pixar produces great movies and it would be great when someday the Blender Community can do the same with open source. Benny you are dead right! There must be a giving before receiving. There is a lot of bad things going on the earth. Lot of people live in poor conditions cause some others are incapable to share. And the Project Team do it right to give, so it will receive what is needed – the money for the budget and the power to preserve. And again – !!! thank you a lot!!! That has been fixed meanwhile. Thanks for feedback! Excuse my English please, but these guys are a great second option. In looking through the comments and talking with people within Second Life about the Gooseberry project…I do want to see this thing take off. I am so excited about it and my daughter is an excellent artist and am going to sign her up as soon as we have the money. She is also trying to get the kids in her Advanced Placement and International Baccalaureate art classes in school to sign up as well. My only concern is the time frame that has been allocated to sign up. I understand that the difficulties of raising money for this project is a monumental one that will be difficult to achieve, but maybe considering other alternatives to funding this project would be good to look at. I wondered why you didn’t break this up into phases and instead of making a deadline. Why aren’t other options such as gofundme.com aren’t being used? I personally just found out about this a couple of weeks ago and in my household, money is tight. Coming up with money in these times is difficult and will take more time and getting sponsors, well that takes a lot of time as well. I wish I had known before this, because I would have made a GREAT fundraising project for our high school art students to participate in. This project is one that is well worth doing, not only for the open source community, but for budding artists as well as people who would love to learn to make their own movies. This project would give so many people who wouldn’t otherwise have the opportunity to get the foot in the door at animation houses around the world, to get their work out and seen by those who count as well as learn what it is like to produce a movie of this scale. The benefits of this project is just staggering and cannot be put on a back burner just because we cannot get the people together in such a short time. I personally would be happy to offer space on my cloud server if that would help and would love to help further this project in any way. My limitation is that my funds at this time is extremely tight and I can only afford to get one of us signed up in the short time frame that has been given. For the art community, this is a project that cannot be ignored, for the open source community, this is a project that will make a huge impact. For all of us who love Blender, and inspiration that cannot be ignored. when you have a focus on the educational value of a collaborative Blender project and a cloud server of your own, but not enough money to subscript for the Gooseberry Cloud project, wouldn’t it make sense to start your own project on a more modest but nonetheless procreative base? Such an affiliate project could be closely related to the mother one. Hopefully some “tunnel effects” between both projects could be established, so that creators involved in the Gooseberry movie could be won to share their knowledge with the young artists in a suitable, understandable way. Raising a separate low/no-budget project for educational purposes could also disburden the Gooseberry team from wracking their brains how to involve noobs into an enterprise which is actually mainly focused on development and creating a collaborative professional animation movie. For the Gooseberry project itself, it wouldn’t generate more money though, but it probably would attract additional attention and sympathy. Almut….the reason I do not have the money is because most of my money is being funneled into my cloud server so I have a portfolio for potential clients/employers. I am just looking at the project and understand that there is a lot of obstacles that need to be overcome and TRYING to offer some of my solutions and resources where I can. As for the “noobs” you talk about, which I assume are the students in my daughter’s class, most of the kids in this class have ALREADY produced their own animation movies and have to do one as a final project…my daughter included. These kids are AMAZINGLY talented (they are not in advanced placement art programs for nothing) and just want to get their feet wet helping in project like this. It amazes me at the negativity that is coming from you and while I do see your point, I wonder why you just not look at the negative as an obstacle that needs to be overcome and think of ways to over come them rather than just being so…..negative. Give positive suggestions and solutions….that is what we are here for….that is why open source projects such as Blender do so well. I think we all need to thank Almut for the critics (I am not being sarcastic). Open source softwares often suffer from lack of education by its “fans” (They believe blender is technically the best 3dtool out there, partly because most of them never used anything else) and excess of confidence by its users (What we are doing/ what our gurus /developers are doing is right by definition ). In a certain way the overflowing enthusiasm which boost the software growth can also be a bias, because we are all on the same side, we talk to our selves and black sheeps do not exist. This is why I think your comment, Almut, is extremely important, and I think a lot of people are meditating on your words and on the topics you pointed out, after some moments of “What? There is somebody who is actually opposing it? Do things like this happen? When was the last time?” and I believe Ton will make something of your contribution. As for me, this is my reply to you. The most important thing you said was “Blender has been growing a lot with new versions recently, why not collect resources to support the wiki editors? I believe having a good wiki is more beneficial to the community than a movie project “. 1) There is no way you are going to raise significant funds if the target were the wiki, no European office will give you thousands for a wiki, not even tens of thousands. 2) Is it better to look for millions for a movie (and surroundings) or thousands for the wiki? As a blender user, I would be happy to have a software that functions better. As a blender fan I would like to have something worth boosting about to every people (“That was made with blender”). Both these things can be achieved with a single project, Gooseberry. Working on a big project for so long will bring intended and unintended side effects which will be useful for low level users as well (Think of the fur for BBB, human rig from Sintel and so on). A movie also gives visibility and has a greater power to enlarge the community. 3) I know you feel like “I am working in the shadows where the most important things lie and they’re going to spend 2 million on a big project”. But look, how different and better is 2.7 than 2.4, how greater could 2.8 and 2.9 be? Blender movie projects are made for 2 reasons: make the software known to more people and develop the software, and when there is development, low level users benefit from it too. Believe me, none of these two objectives will be left aside. 4) I do believe some resources should be spent on ordering the “knowledge” around blender and the tutorial system. Although I know some efforts have been made in this sense in the distant and near past. Of course, no intervention is definitive. After the next year and half of “turmoil” a time of “settlement” will come. Your answer, however, blows eventually in the same horn as all the other enthusiastic statements. Of course, the publicity and fascination of a movie can’t hardly be beaten by any kind of tutorial or reference. It is hard to elate potential supporters to give money just for creating manuals or instruction videos, even when they might be fantastic. But this is only a superficial point of view from the marketing side. I believe that the slipstream of such a huge project could be fruitfully used to bring also neglected but necessary matters like education and documentation forward. Why don’t thinking about creative ways to accomplish this, too? As a professional technical writer and illustrator, I’m daily confronted with programming guys who prefer to implement a software while regarding the need of documentation for both further development and the user/customers as bothersome. Apparently they haven’t internalised at all that a complete and understandable documentation is inseparable part of the product. When the Blender Community wants to emerge this already amazing tool to something which is at least as good as any of the commercial high-price 3D suites, this part shouldn’t be rationalised away as something to be done in a time of “settlement”. We all know that such a time will never arrive in an active community like this. The open movies in the past have typically included how-to guides and tutorials as part of their supplementary features. Sintel definitely had some, though they weren’t super-poilshed. I agree that Blender’s own official documentation is frustratingly incomplete sometimes. Shiny new features show up in Blender very often, and there’s no “internal” tech writer such to keep track of it all and produce polished tutorials. Fortunately, Blender also has an engaged and active community. When something new appears, there’s almost always someone from the community posting a video on YouTube (plasmasolutions has been superb with this lately), then it makes its way to BlenderNation, etc. Documentation’s generally out there in one form or another – admittedly, it’s not as centralised as it would be if Blender had its own tech writer/educator on staff, and sometimes it’s locked away in a video about half a dozen other things, and “big picture” documentation about end-to-end workflows (e.g. character builds) is really rare and definitely subject to community enthusiasm. As for having trouble engaging users to donate to produce educational content – like many other Blenderfolk, I have a CG Cookie subscription. With respect to your idea of having an animated character as a user proxy.. considering the amount of work involved for the net effect, it’s likely to be a long project and a very difficult sell. Best of luck to you. If not a person or team, what will be the process? Elephant’s Dream looked fantastic but felt a little like it was based on a student script. And holding people’s interests for a full feature film is a much bigger challenge. As far as I know Pixar spend more time scripting and storyboarding than animating – and as Hollywood proves its far easier to write a terrible script than a good one. Currently script development is being handled by the director and by Esther Wouda (who wrote Sintel). We will spend as long as possible on getting this right. Story development is also not something you do as writer, but it s something that goes through the whole project, on every level. Script, storyboards, animatics, breakdowns, all the shots, the layouts, camera, light, the acting, sound, music… everything is part of “story”. This is great news Ton. You are a true visionary. Blender has helped me get back to art which i had sadly abandoned a few years ago, and also facilitated our team of artists to start a graphics design studio. Blender has given us an opportunity where we might not have had one if we had to buy a 3D package. The conversion rate for the dollar in Africa is ridiculously high, and most of us just can’t afford to buy the leading 3D packages. Blender fills this void extremely well. Although we are low on cash right now, we feel obligated to make a monetary contribution, and we will. 10 bucks a month is very doable, especially for something so paradigm changing that will benefit creative people immeasurably. We will also pass on the promo files and do our part to spread the word. This is truly revolutionary, giving creative people this kind of power. All that is left is for us to coordinate and cooperate. Power to the people. Ton, you are the Castro of 3D. Let’s show the rich boys that when the masses unite behind a cause, you better join and support them, or move out of their way. Thanks for all your hard, hard, work and your team as well. Your Visions are great. We are behind you. 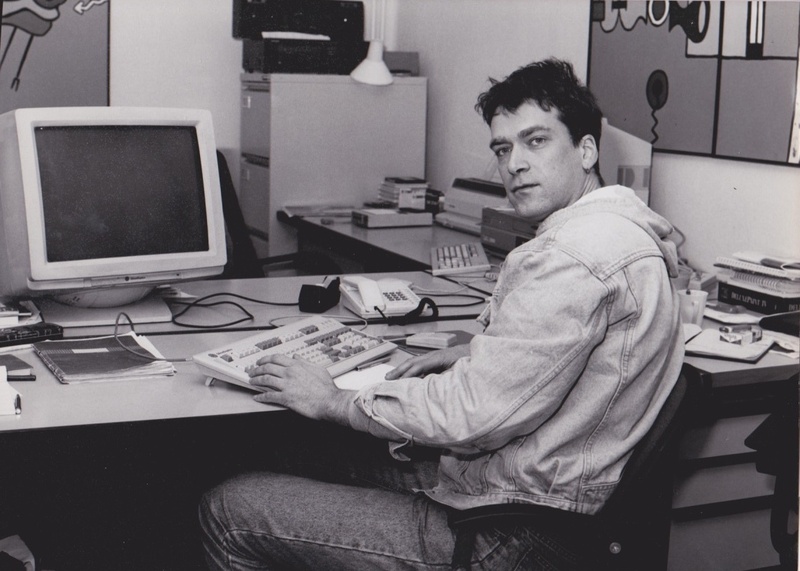 I know how much blender played a part in my life especially to get back my broken 3D animation studio business. I am sure this is going to be a success. A new business model whatever it may be, let the creators learn from it, do it more. We are there to support you. This will rock. This article is actually a good one it helps new the web people, who are wishing for blogging. I am by nature what many would call a ‘hater’. I personally (and mostly secretly) have not enjoyed any of the Blender open movie projects, I found them all to be tedious expressions of various childish subcultures I don’t relate to at all. And this gooseberry one looks even worse to me. But that is just my own tastes, which I normally would not even bother talking about in this context because they have no bearing on what the community should support as a whole. The more important thing is I love Blender. I appreciate what the movie projects do to advance the software and its wider profile and recognition, and also to generate high quality learning resources. So I support Blender movie projects anyway, despite knowing I’m not the intended audience of the actual movies. The point of this comment is to help convince other curmudgeons to do the same. I’m sending it to some buddies aans additionally sharing in delicious. I know I’m several years late to the party, but I wanted to add my two cents. I have only been subscribed for a couple of months and have only used about four textures from the cloud. To be honest, the only reason I subscribed was to help Blender grow. It is true that there are hundreds or even thousands of tutorials on YouTube that will help you learn. I think that haters are missing the point and have a completely selfish mindset, regarding the movies and the Blender Cloud. Blender is a fantastic piece of software, despite its issues. If you don’t want to contribute a single cent to the cloud, as someone stated, that’s fine. If you dislike the movies, that’s fine too. Thankfully, there are many people out there that do believe in these projects, because they have seen how they have been helping blender evolve and improve. Regardless of how you’re using Blender (hobbyist/professional), you should at least be thankful to Ton, the Blender team, and all the people out there contributing money, time and talent to make Blender even better, because all of them have been giving you a fantastic gift for years and will continue to do so.